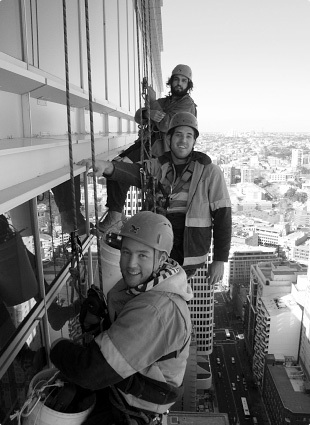 We employ both rope access maintenance technicians and height safety system installers. We would love to hear from you if you have an interest, the experience and/or qualifications in installation of fall protection and facade access systems or rope access maintenance. Experience and trade skills in construction, carpentry or mechanical are also highly regarded. Karabiner can offer a varied, reliable, safe working team environment. Whilst primarily focussed in metro Sydney though our work can extend to regional NSW and interstate. Trade or qualifications in building skills highly regarded. Current valid Rope Access qualification ARAA / IRATA if apply for rope access position. If you are interested please contact Lee Martin 0411 133 262 today.